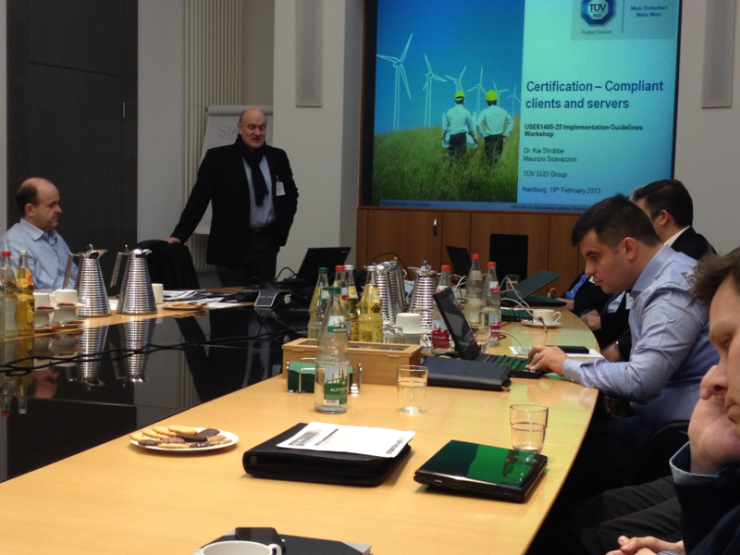 The first „Implementation Guidelines Workshop“ of the user group USE61400-25 has been held on February 18 and 19, 2014 hosted by one of its members Senvion SE in Hamburg, Germany. The USE61400-25 user group has the main aim to ease the use of IEC 61400-25 and support users implementing the standard within the wind power industry. With several speeches the user group provided basic information about the approach to the data model, the different ways of building a model and aspects of user defined extensions of the standard. Technical field reports on already running implementations completed the insight to the use of the standard. Finally the possibilities of certification for products compliant to the standard and also the handling of the different editions have been presented to the very interested audience from all parts of wind power industry. 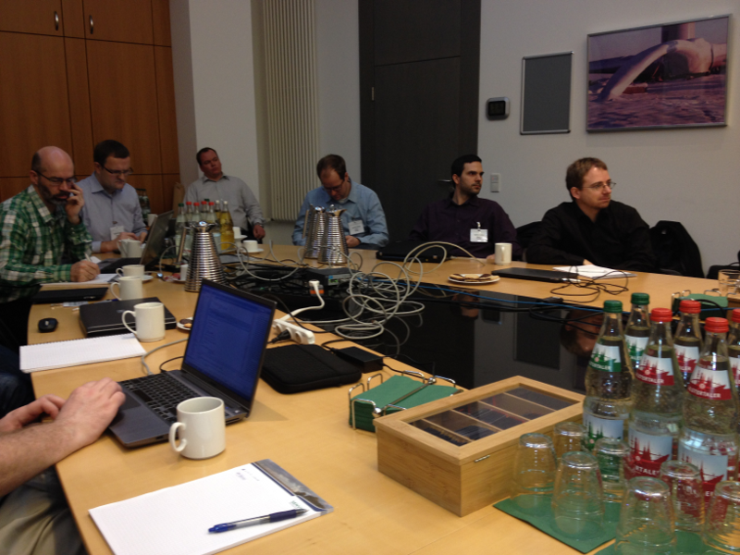 Not only the presentations but also the following possibilities for discussion and exchange of experiences have been appreciated by the more than 40 participants, both members of the user group and guests. The first workshop of this kind is also a Kick-Off for an “Implementation Guidelines Document" provided by the user group USE61400-25 in future.